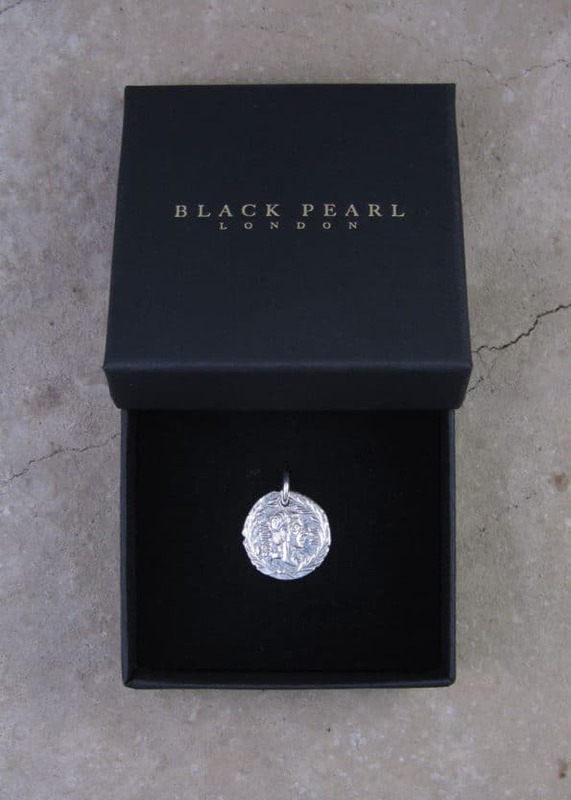 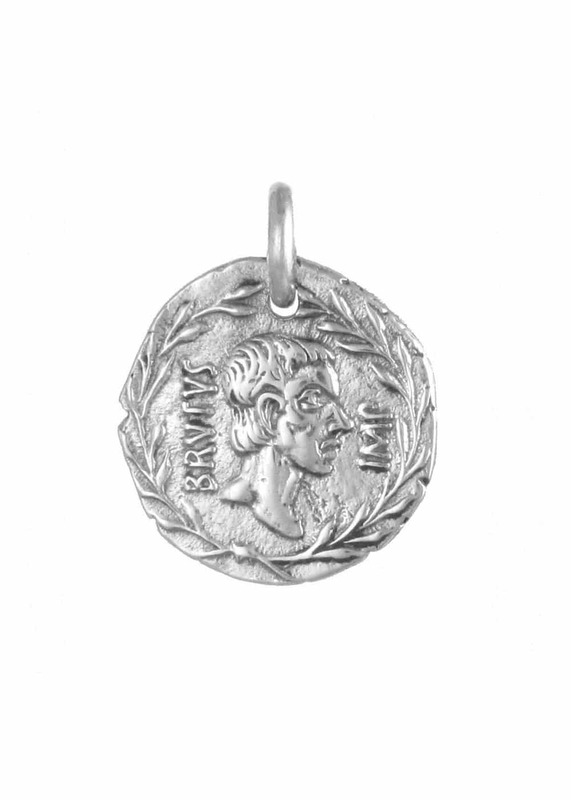 A Sterling Silver coin pendant featuring the Roman politician Brutus. 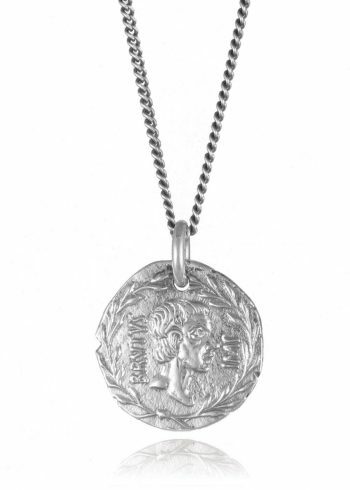 The coin measures 18mm wide. 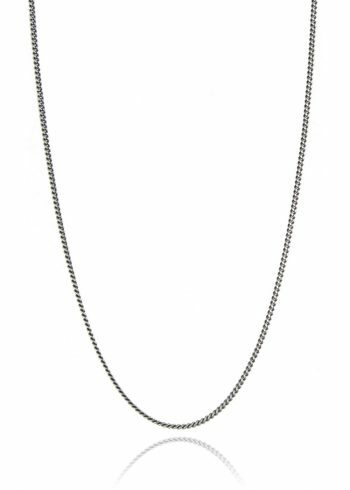 Chains are sold separately so you can choose your style and length. 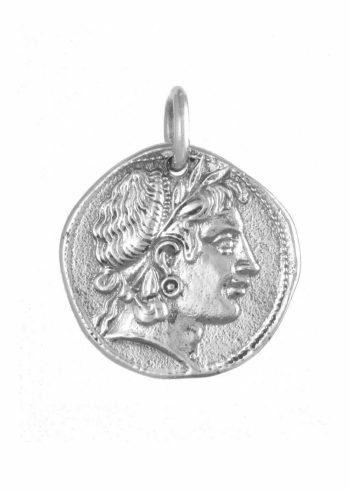 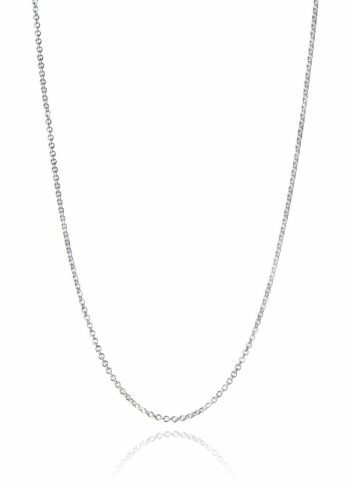 This pendant is a replica of an ancient coin featuring Brutus, a prominent politician of the late Roman Republic and one of the assassins of Julius Caesar.The pendant looks great worn alone on a chain, or try layering with other necklaces. 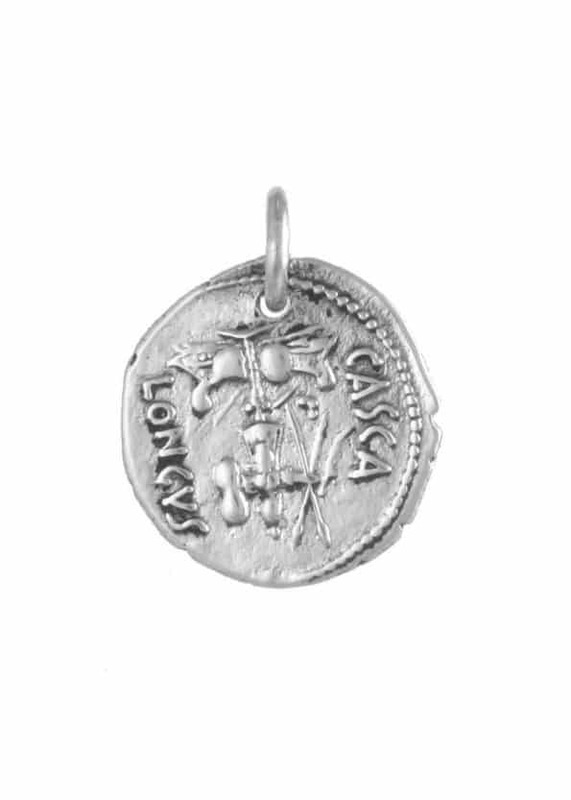 The coin measures 18mm wide. 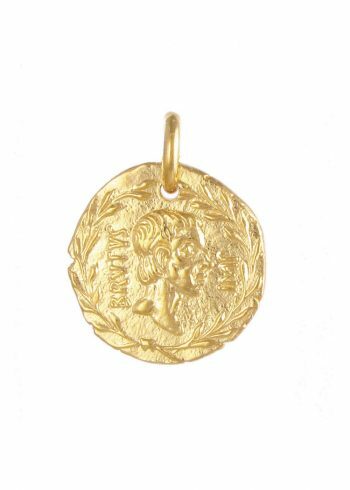 Inner diameter of the ring measures 4mm.